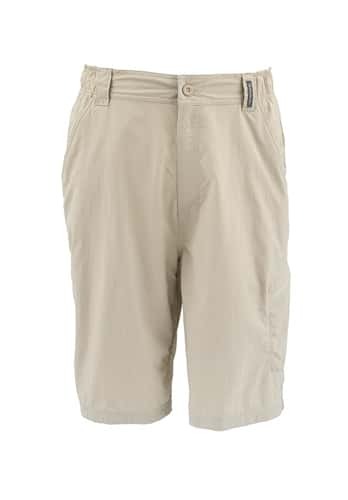 Simms Superlight Shorts are perfect for wading those hot flats. Along the way, drop a bottle of sunscreen into deep mesh pockets and introduce phones to secure internal storage. Source plush fit via the partial elastic waist, with fly button closure. And stay nimble, always, thanks to a gusseted crotch that enables full-range mobility. Traditional Fit and a perfectly proportioned inseam come standard.